A few more gifts you can make for the geek in your life. *Make a knit baby Space Invaders hat with Instructables user tracy_the_astonishing. *Knit a wrist rest for the compulsive computer user with this pattern from pieKnits. *Sew fuzzy percentile dice with Evil Mad Scientist Labs. *Make a translucent hacker's wallet with Instructables user alexsparrow. 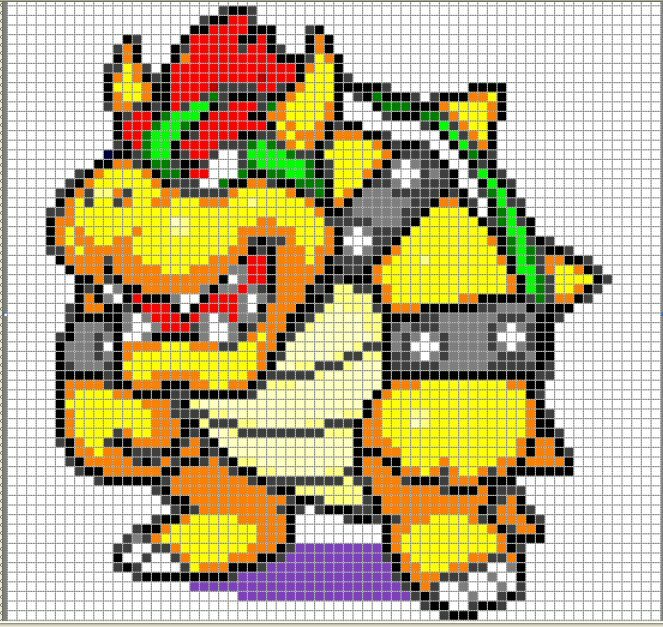 *This Bowser cross stitch pattern on Sprite Stitch would make a great shirt or pillowcase. *Make a Gears of War themed Rubik's Cube with enceptions on Instructables. *Knit a binary scarf with this pattern from Christine Dumoulin on Knitty. *Create a Mario mushroom toy with Jetson_99 on Instructables. *The Domestic Scientist shares cross stitch patterns for both Rebel and Alliance logos. *Make a d12 handbag (of holding) with this fun how-to from Evil Mad Scientist Labs. *Make a magnetic Katamari desk organizer with Instructables user annahowardshaw. *Crochet a Mario plushie with WolfDreamer Off the Hook. *Make an NES controller duct tape wallet with chessman908 on Instructables. *Stitch a Minecraft stuffed Creeper doll with Instructables user sylrig. *Sew a Star Wars pillow with At Second Street on Craftiness Is Not Optional. *Hand/Eye/Mind/Mouth shares a Star Wars Han Solo crass stitch chart. The binary scarf is awesome. Too bad I have no idea what it means! Ooh, love the binary scarf!